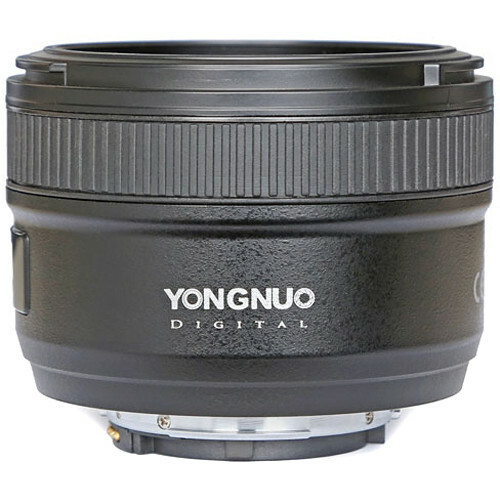 A compact normal-length prime designed for Nikon F-mount DSLRs, the YN 50mm f/1.8 Lens from Yongnuo pairs the classic 50mm focal length with a bright f/1.8 maximum aperture to suit working in a variety of situations. Multi-coated glass elements reduce the effects of lens flare and ghosting for greater contrast and maintained color accuracy. 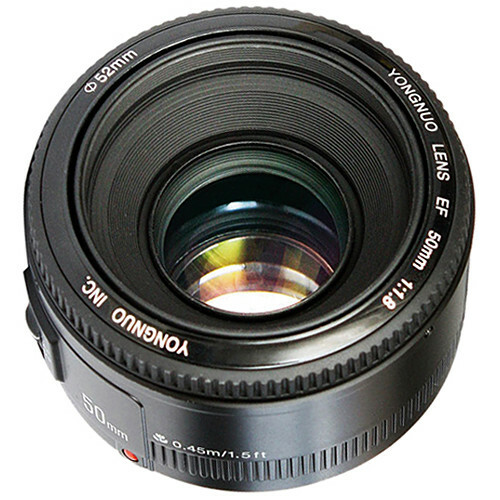 An AF/MF switch on the lens barrel permits quick switching between focusing methods, and the lens can focus as closely as 1.5' to suit photographing close-up subjects. 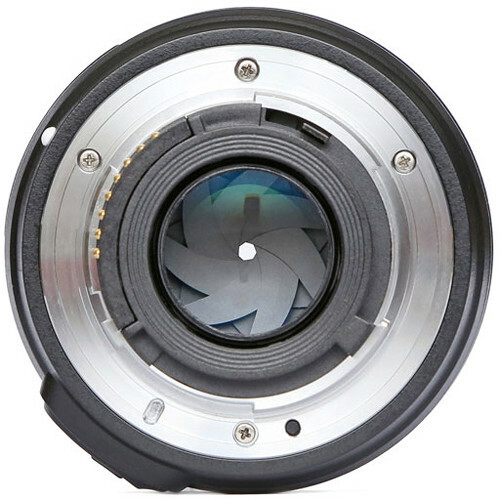 While compact and lightweight in design, a metal bayonet lens mount ensures a secure, durable connection between the camera and lens and gold-plated contacts permit working with all exposure modes as well as transferring lens information to the EXIF data. 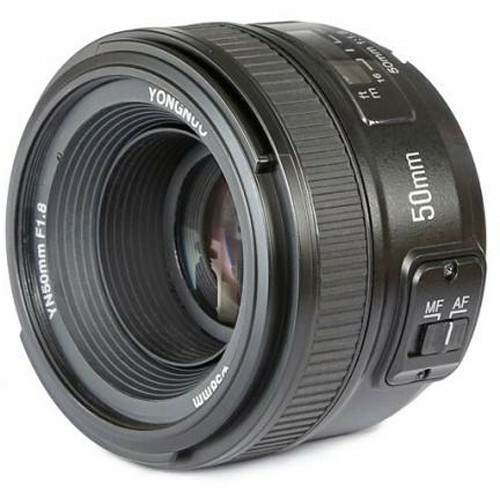 A tried-and-true lens construction with design enhancements to benefit handling, this lens is an ideal walk-around lens for everyday shooting. 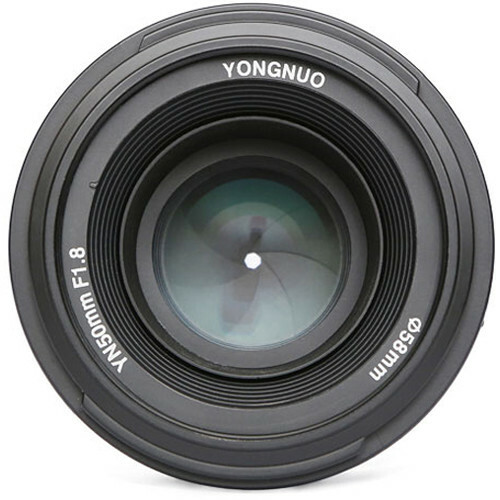 Prime normal-length lens designed for FX-format Nikon F-mount DSLRs, this lens can also be used with DX-format DSLRs where it will provide a 75mm equivalent focal length. An AF/MF switch on the lens barrel allows you to select focusing methods, with either setting allowing you to focus as closely as 1.5' away. 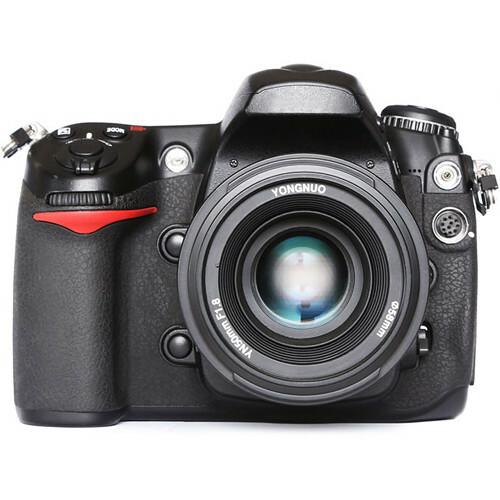 Box Dimensions (LxWxH) 4.25 x 4.1 x 4.1"
It was Superb lens with affordable price. Great lens !